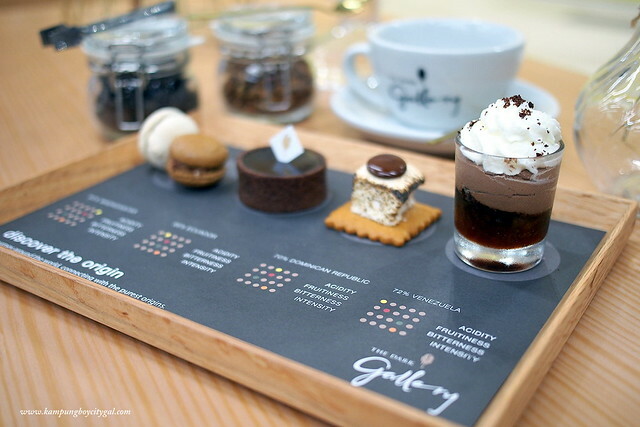 Join us on the dark side of chocolate, at The Dark Gallery @ My Town KL, an artisanal chocolate-centric cafe that sells (almost) all thing cacao. 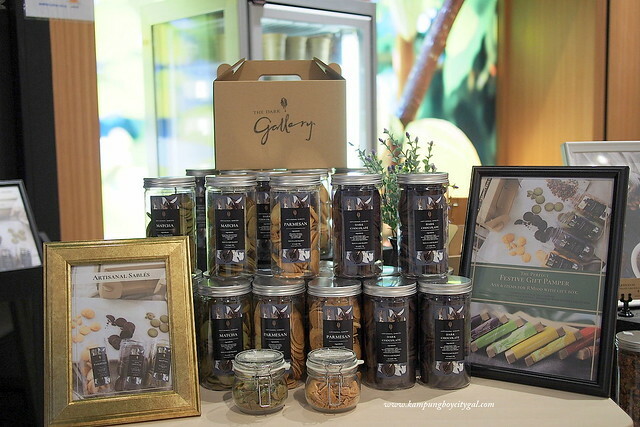 Chocolate has long been the bad guy in our ongoing health narrative, but do you know that pure, good quality chocolate has an abundance of nutrients that can be of huge benefit which your body will love you for? 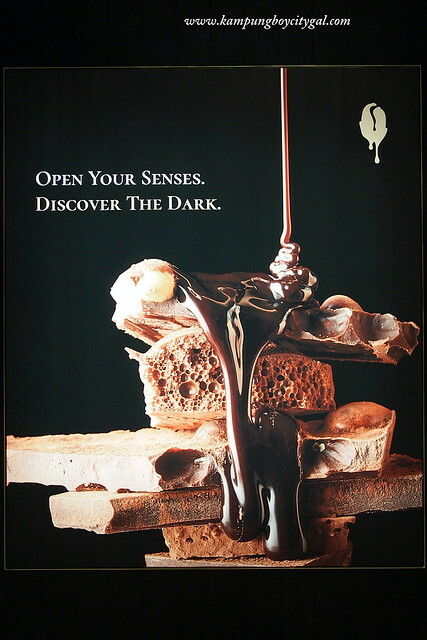 Forget about chocolate bars that have been loaded with nasties such as additives and sneaky sugar and come discover the dark at The Dark Gallery KL. Just like coffee, single origin chocolate is so called because the cocoa beans used to create it are taken from a single source, in some instances a single estate or plantation but in most instances a single country. 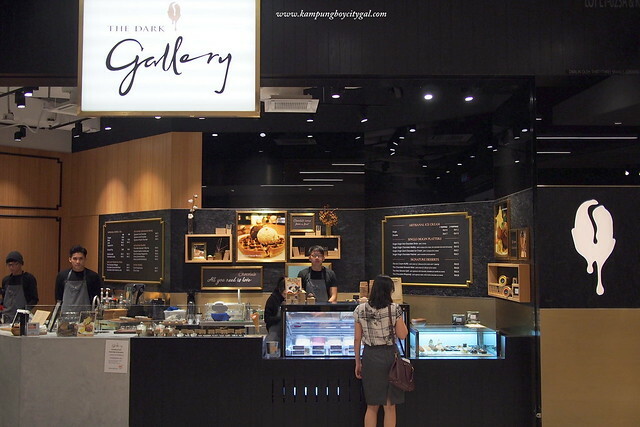 I like how The Dark Gallery offers consumers options in the form of specially curated single origin platters; you get to try at least three varieties of chocolate shots, chocolate medley, chocolate ice cream or chocolate pastries. 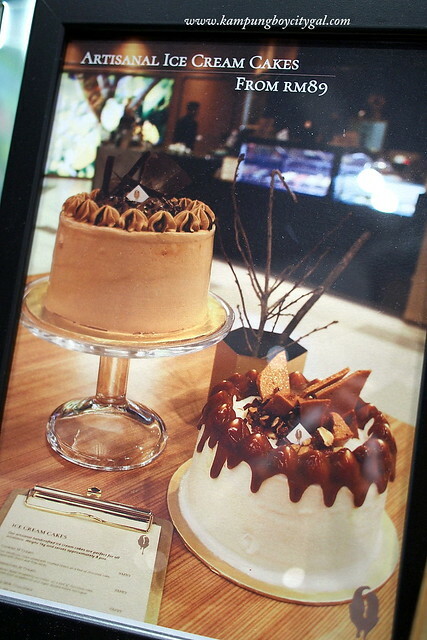 A wide array of treats such as artisanal ice cream, small batch bean-to-bars chocolatiers, tarts, macarons, cookies, artisanal ice cream cakes, granolas are available for sale here. 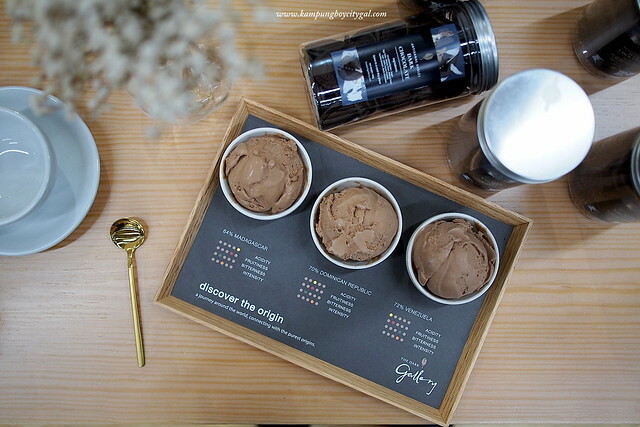 The idea of a single-origin chocolate is that the characteristics of the area of origin should be quite distinct, and The Dark Gallery KL showcases this in an ice cream platter, completed with infographic print-out the describes the flavour profile of each chocolate. Light and fruity 64% Madagascan, a floral and spicy 70% Dominican Republic or an intensely bittersweet 72% Venezuelan? There’s no right or wrong to which one tastes “the best” because everyone’s palate is vastly different. Actually all three scoops were really, really delicious but I particularly loved the Venezuelan while KB liked the Dominican. 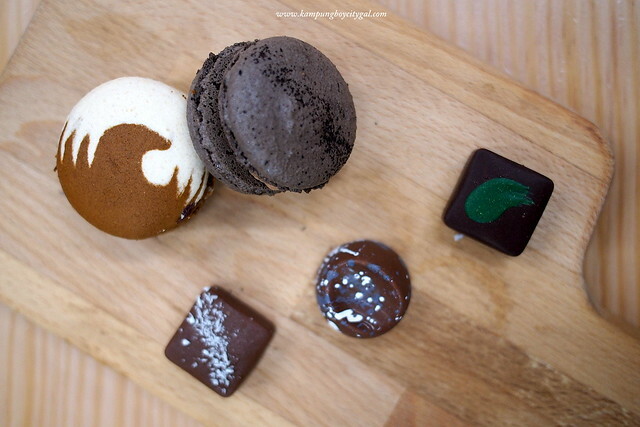 It is made up of two 64% Madagascan chocolate macarons, a tartlet filled with 66% Ecuador dark chocolate ganache, a homemade s’more of molten 70% Dominican Republic dark chocolate on a toasted marshmallow and graham cracker and a mini trifle of 72% Venezuelan dark chocolate mouse, caramelised bananas, brownie chunks and whipped cream. 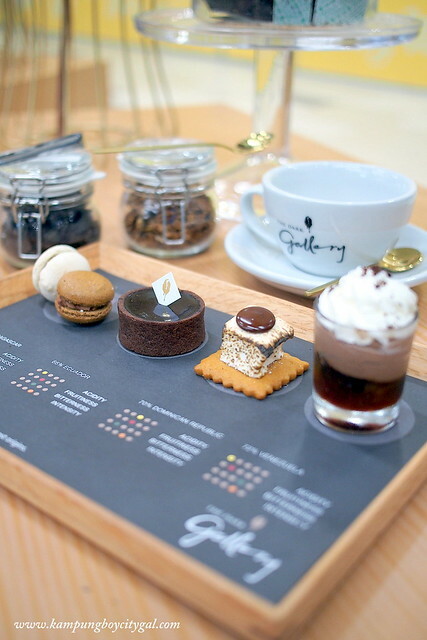 The pastries platter is every chocolate lover’s dream. 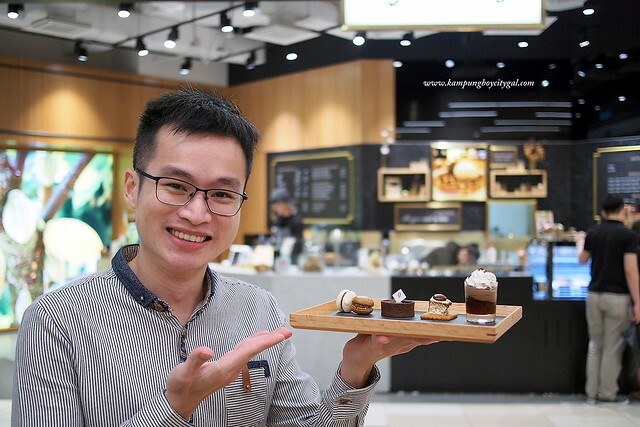 We really enjoyed the mini chocolate tart – buttery, super flaky, amazingly delicious tart crust filled with rich and velvety smooth dark chocolate ganache. 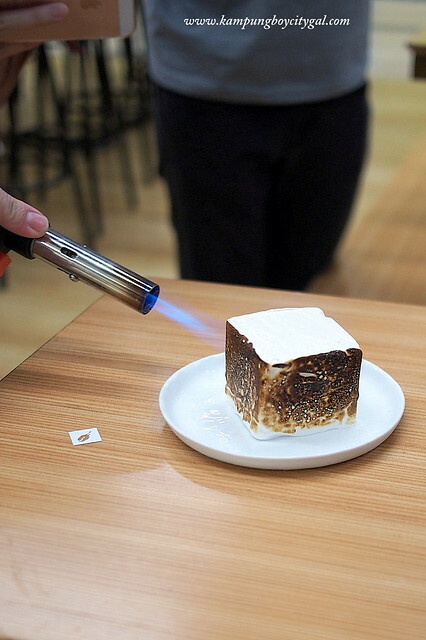 The torched-to-order Signature Frozen S’mores (RM 15) is a new item on the menu. It has a 80% dark chocolate ice cream center that’s covered with graham crackers crumbs and cinnamon sugar , and all en-robed in a frozen marshmallow. 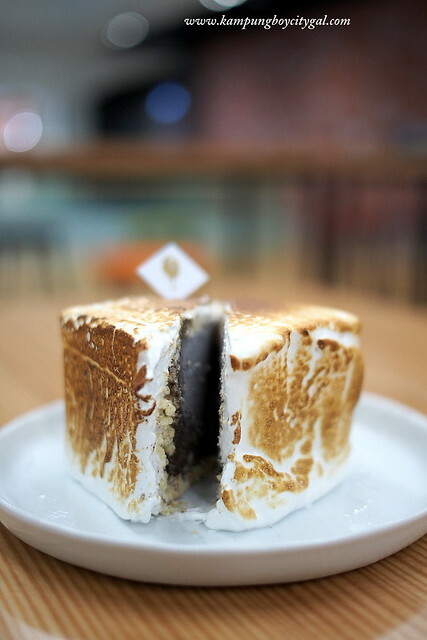 Each s’more is blowtorched to order and the creme-brulee-like crust that forms on the surface of the s’more was gooey in texture and went really well with the bitter-sweet dark chocolate ice cream. 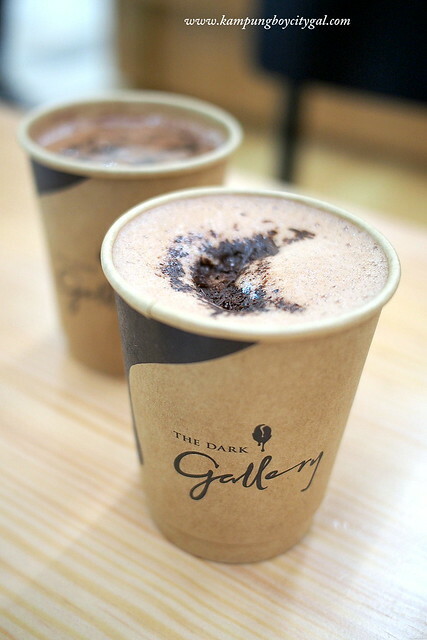 The Dark Gallery’s signature hot chocolate drink is concocted using a melted mixture of pure dark chocolate couverture, frothed milk and dark chocolate shavings. 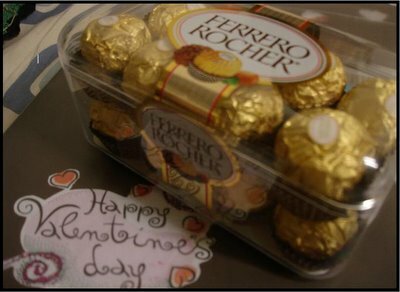 I love the rich, luscious taste and fortunately it was not syrupy or too sweet because no sugar is used at all. 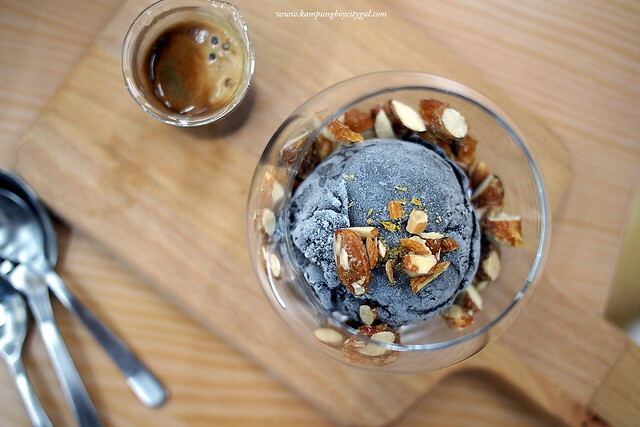 The Dark Gallery’s version of affogato uses 80% dark chocolate ice cream served with espresso shot and handmade caramelised almonds to make it even more special. Hot and cold, creamy, bitter, sweet, and chocolatey…so good! 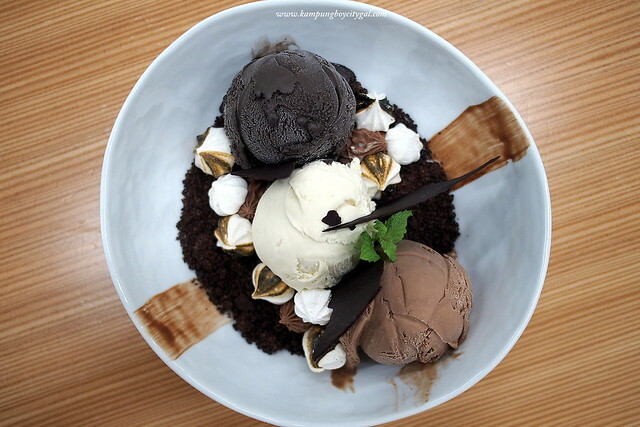 Featuring The Dark Gallery’s signature dark, milk and white chocolate ice cream on a bed of crunchy chocolate “soil”, surrounded by a dollop of silky chocolate mousse, crispy chocolate meringue, and cacao tuile; this dessert is a play on textures and flavours. Thanks to the friendly manager and staffs here at The Dark Gallery, I am now a dark chocolate convert. I’ve learnt that dark chocolate has subtle, complex notes much like a fine wine does. 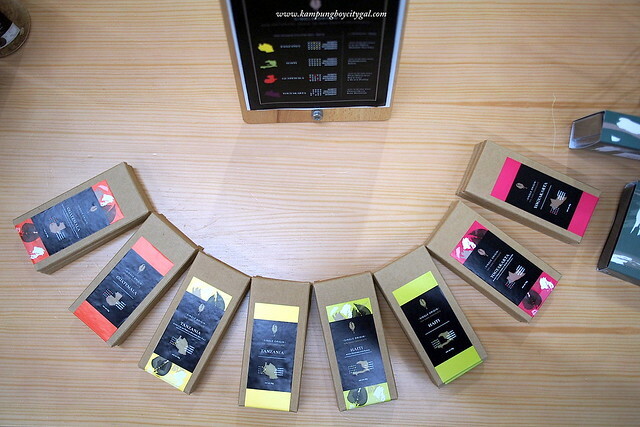 And most importantly, dark chocolates made with pure and good quality cacao taste so good! 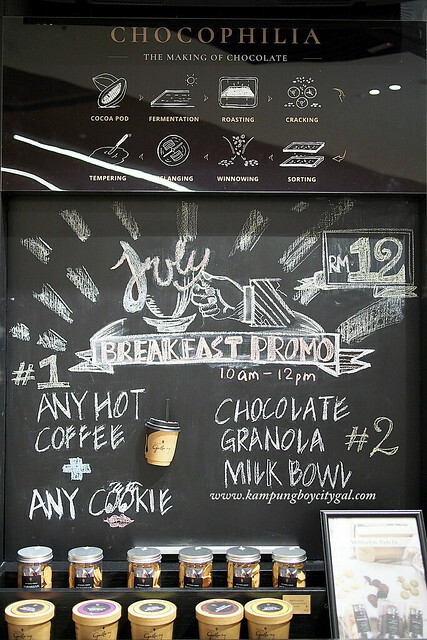 Do drop by and experience a chocolatey affair here at The Dark Gallery if you happen to be around MyTown. 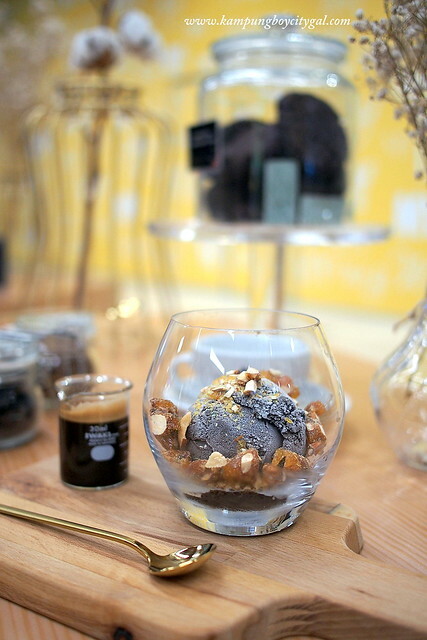 You might spot us tucking into our dark chocolate ice cream here. 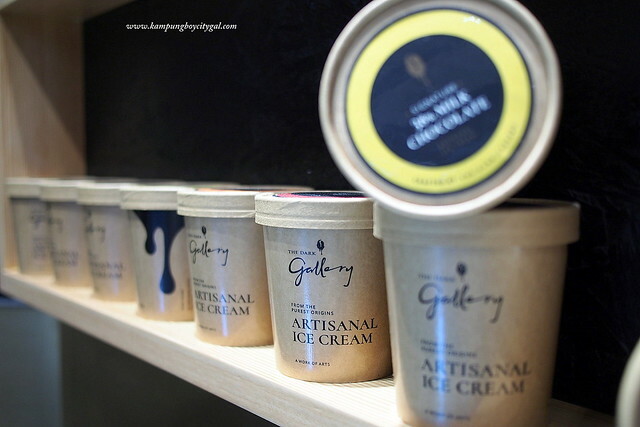 Take-home items such as Bean to Bar Craft Chocolate (45g, RM18), Ice Cream Pints (450g, RM33 each), Artisanal Chocolate Sable (160g, RM20), and Artisanal Chocolate Granola (240g, RM20) can be purchased in-store or via The Dark Gallery’s web-store (www.thedarkgallery.com). Delivery is free for orders of RM150 and above. Add: Level 1, Lot No. L1-023A & L1-K-007, No. 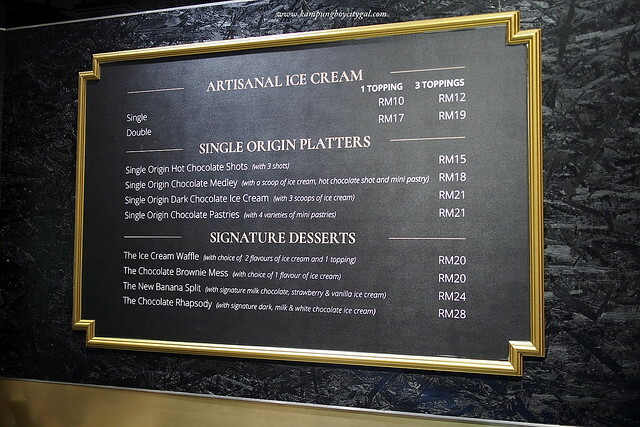 6, Jalan Cochrane, Seksyen 90, 55100 Kuala Lumpur.